Experience the pulsating life on the market of Ciutadella. The tranquil island of Menorca hides concealed secrets that give you the sensation that time has stood still. One of these attractions is also the market in Ciutadella or the fish market (popularly known as Mercat des Peix). It is an indispensable destination for all lovers of small art and gourmets. Located in the centre of the old town, on the so-called "Plaza de la Libertad", it is one of the most charming weekly markets in the region. On the small square there is a central stall with fresh fish and around it there are several small stalls offering the best harvest from Menorca's gardens. The lively weekly market attracts both locals and tourists. The vibrancy of the market will seduce you. We recommend that you go to the market in the first hours of the morning to taste a hearty breakfast or the tasty tapas from the small bars. 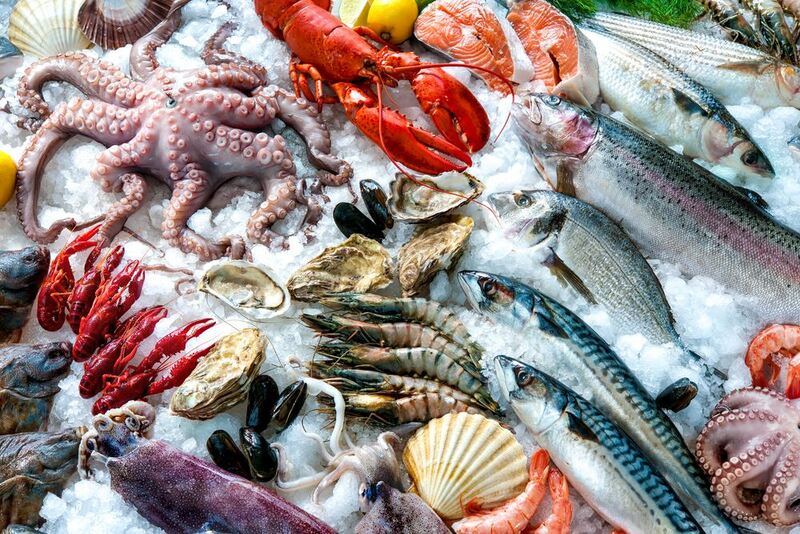 There's a lot more to it than just fresh fish. Maó's famous fish market has expanded its culinary range and is now a vibrant place to enjoy small snacks. 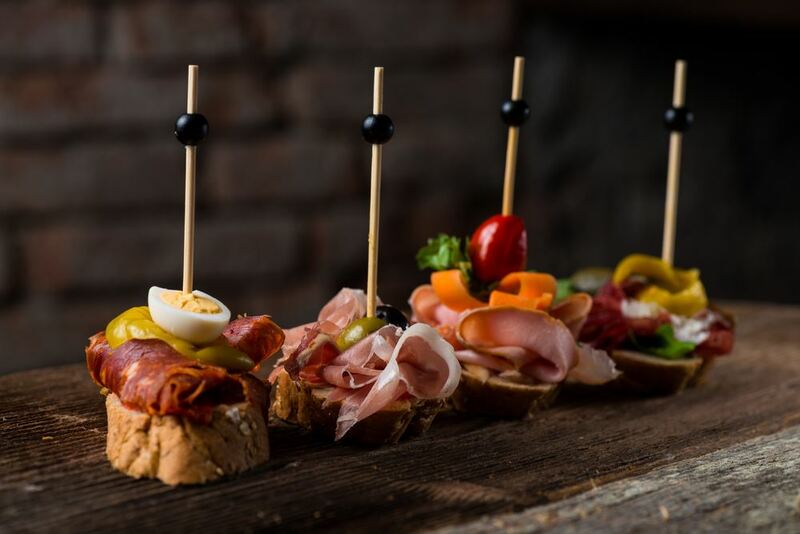 The fish market of Mahón not only has the most extensive range of freshly caught fish and seafood in Menorca, but there are also numerous culinary delights such as tapas and so-called pinchos (small delicacies). You can also buy local products such as the excellent cheese, the unique wine or the beer from Menorca. It has become a meeting place where culinary events, live concerts and the like take place. Especially for newcomers to the island, it is an ideal place to make new contacts and friendships. The Menorcans are very open-minded people and love to be part of the social life. A walk in the nearby harbour is highly recommended after visiting this special market place. If you are already in the historical centre, you should also visit the famous buildings of the city, such as the Carmen Church and the monastery, the Teatro principal de Maó, the mayor's office and the church of Santa María of the XVIII century. Figat is a homemade jam with medieval roots. It is made at the end of summer with the last figs of the summer season. Ideal for breakfast or as a side dish with Menorcan cheese. It is made by cooking the fruit over a low heat for several hours until a uniform mass is formed. This jam tastes best in Ciutadella. 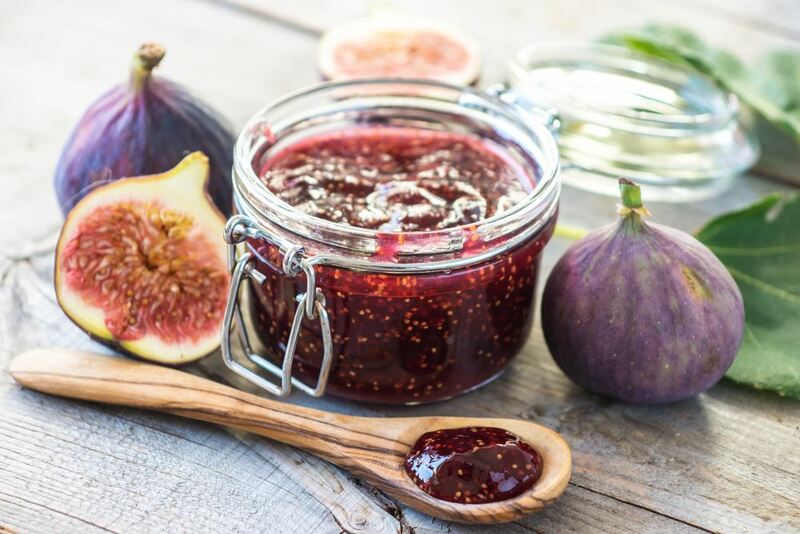 The variation called Arrope is also a thicker fig jam, to which one adds additional fruits such as melon or vegetables such as red cabbage or pumpkin. The recipe is uncomplicated and the secret of this delicacy are the local ingredients: Figs, orange peels, sugar and, on request, other fresh fruits or vegetables. The ingredients are chopped into small pieces and cooked to give the mass a dark colour. The blend is stirred thoroughly for two hours. After cooking, it is filled into glasses and can be enjoyed as desired. The real Mediterranean indulgence of the extra class! 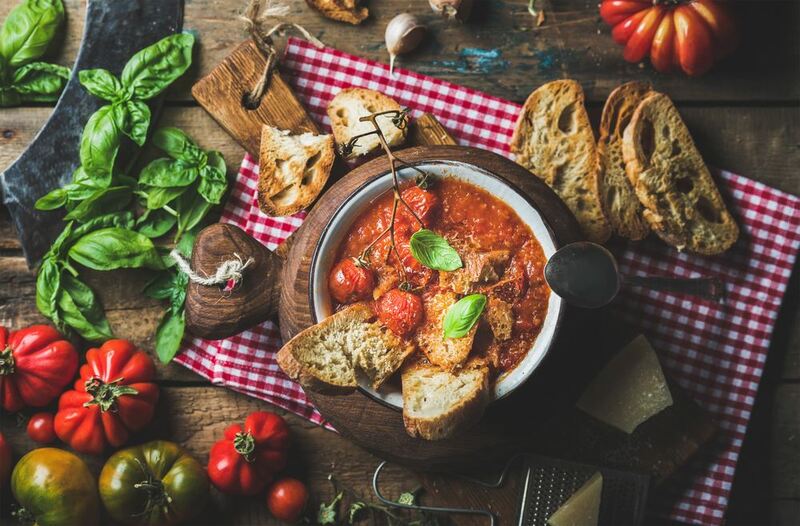 Oliaigua is a varied vegetable soup based on the ancient tradition of Mennorquin farmhouse cuisine. Oliaigua is one of the most typical Menorcan dishes and can be served hot or cold depending on the season. The name derives from the combination of oil (Oli) and water (Aigua). Oliaigua was a very popular dish among farmers. They ate it for breakfast because it gave them the necessary energy to work on the fields under the heat. In the beginning this simple meal was prepared with oil, water, some vegetables and bread. The recipe of today's Oliaigua includes tomatoes, garlic, onions, green peppers, olive oil, water and toasted bread. Seasonal vegetables are particularly suitable as a side dish. The soup is eaten cool in summer, with a portion of figs or melon; the mixture of sweet and salted tastes good to the Menorquinos and many of their guests. In spring it is the asparagus that gives it its southern character. In the winter months this soup is served warm, with fried potatoes, eggs, onions or pickled gherkins. The slice of bread should not be missing, preferably when it is a few days old and roasted. This unusual soup can be found in most pubs and bars all year round. Taste this soup with a good quality Menorcan wine! Menorcan gin - an inimitable taste of the British era. Menorcan gin stands out from the other gins in that it is handmade from carefully selected grapes and juniper berries. The Mediterranean note is enriched by secret Menorcan plants. Gin was introduced to the island during the 18th century under the British government. During those decades, thousands of English sailors and officers came to Menorca; in their free time they drank the then fashionable drink - gin - which was not yet widespread on the Balearic Islands. Some discoverers soon found out how to make gin. They imported juniper berries and produced gin from mineral water and ethyl alcohol of vegetarian origin. Menorca's gin was obtained from the fermentation of various grains such as maize, rye or barley and brandy. The gin was distilled in a copper kettle on a wood fire and covered with juniper berries and various herbs. Today's gin is made from refined grape alcohol. It is stored in white oak barrels before being bottled, which triggers its subtle wood aroma. 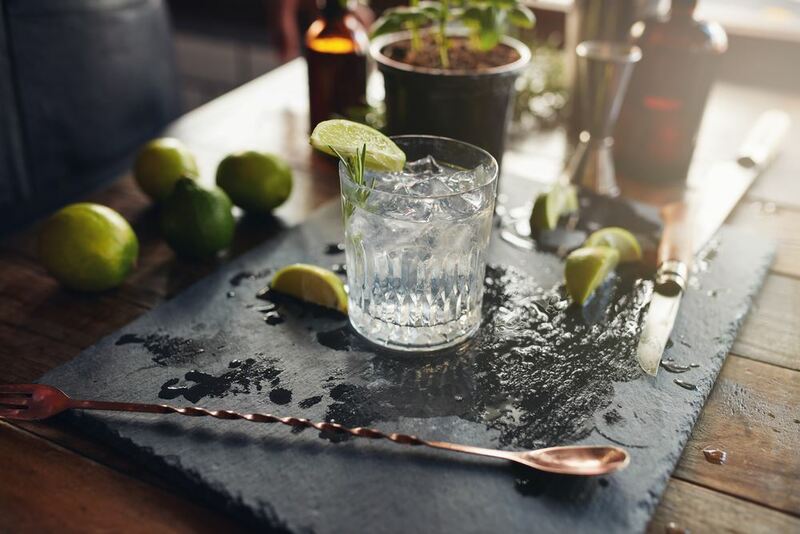 The alcohol content of gin is between 30% and 45%. Traditionally, gin is refined with real lemon juice; this mixture is marketed under the name Pomada, except in Ciutadella, where it is called Ginet. It is not to be missed at any Menorcan festivity. This flavoured gin can be tasted all over the island; you only have to decide for yourself how to prepare it. Menorcan gin is indeed a symbol of Menorca. The distillery in the port of Mahón can be visited from Monday to Saturday. Weekly Market: Sant Lluís, Pla de Sa Creu start at 9h till 13:30h. Weekly Market: Es Castell, Aparcamiento Escuela Ruiz y Pablo start at 9h till 13:30 hrs. Weekly market with handicrafts: Cala'n Porter, Plaza Mevis start at 19h till 23h. Market FIRAC: Ciutadella Monday to Saturday la calle Portal de la Mar start at 20h till 1h. Weekly Market with handicrafts: Ciutadella, Plaza Catedral start at 19h to 24h. Market / Night Market: Es Castell daily, market start at 20h. Weekly Market: Maó, Plaza de la Explanada start at 9h till 13:30h. Weekly Market with handicrafts: Cala'n Porter, Plaza Mevis till 22h. Market / Night Market with live music: Es Migjorn Gran at 19h. Weekly market: Sant Lluís, Pla de Sa Creu from start at 9h till 13:30h. Weekly market: Es Migjorn Gran, Plaza de la Iglesia start at 9h till 13:30h. Weekly market: Es Castell, Aparcamiento Escuela Ruiz y Pablo start at 9h till 13:30h. Night market with live music: Alaior, Sa Plaça start at 19h till 23h. Night market: Paseo de Cala Galdana start at 20h till 23h. Weekly market with handicrafts: St. Lluís starting start at 18h. Weekly market: Alaior, c/ Reverendo Huguet start at 9h to 13:30h. Weekly market with handicrafts: Cala'n Porter, Plaza Mevis from 19h till 23h. Weekly market with handicrafts: Es Mercadal, Plaza Pere Camps start at 19h till 22h. Market / Summer market: C / St. Lluis i sa Plà Creu. St. Lluis. start at 19h till 21h. Weekly market: Ciutadella, Plaza del Born start at 9h to 13:30 hrs. Weekly market with handicrafts: Maó, Claustro del Carmen start at 10h to 14h and 18h till 22h. Weekly market: Ciutadella, Plaza del Born start at 09h till 13:30h. Market / Farmer's market: Ciutadella market place - regional, rural products start at 9h till 14h. Weekly market: Maó, Plaza de la Explanada from 9h to 13:30. Weekly market with handicrafts: Ferreries, Plaza de España start at 9h till 13:30. Weekly market for collectors: Maó, Claustro del Carmen start at 18h till 20h. Weekly handicraft market: Fornells, Calle del Mar start at 20h till 23h. Market / second-hand clothing market: "GANGARIA": Maó, Parc des Freginal start at 8h till 12h. Market / Stamps: Athenaeum of Maó. From 10 till 12 o'clock. Weekly handicraft market: Fornells , Calle del Mar start at 20h till 23h.